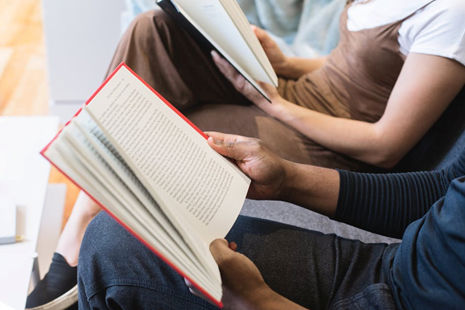 If you have ever found yourself lost in a good book, you may already know this is a great way to distract yourself from any stress you may be under work, school or personal matters. Stress can affect your brain in many ways such as increasing the chance of mental illness, shrinking your brain, impacting your memory and killing brain cells. Feel your stress melt away as you read about how Alice escaped Wonderland, while you soak in a hot bubble bath surrounded by these old book candles. Sleeping is extremely beneficial for the normal functioning of your brain and anyone that has had a bad night’s sleep knows how difficult it can be to concentrate on everyday tasks. When we sleep, our brain can process everything that has happened throughout the day and without enough good quality sleep, it can struggle to do this. This can affect your memory, mood, and more. Sleep means better decision-making and a sharper, clearer mind. Reading before bed sends a signal to your brain that it is time for sleep. Picking up a book instead of opting for some screen time is a much better way to fall asleep each night, as electronics can totally mess with our sleeping patterns. Although you can read electronically, a paper book is best for improving sleep. When reading, your brain is doing a lot more than just taking words from a page. Reading a book or a magazine is a lot more demanding neurobiologically than listening to an audiobook or watching a movie rendition. Just as we work out our body by exercising or going to the gym, reading works out the mind and helps to improve our memory. Studies have shown how reading can stimulate your brain which, in turn, helps improve thinking skills and protects memory. These are just a few of the ways that making time each day to read a book can improve our brain health and function. Getting lost in your favorite author’s book has never seemed so tempting with these great benefits.